The Bishop, Warri Diocese of Anglican Communion, Rt. (Rev.) Christian Esezi Ide says 86.6 million Nigerians are living in extreme poverty, noting that “the poverty stricken population of Nigeria needs provision from the Lord”. 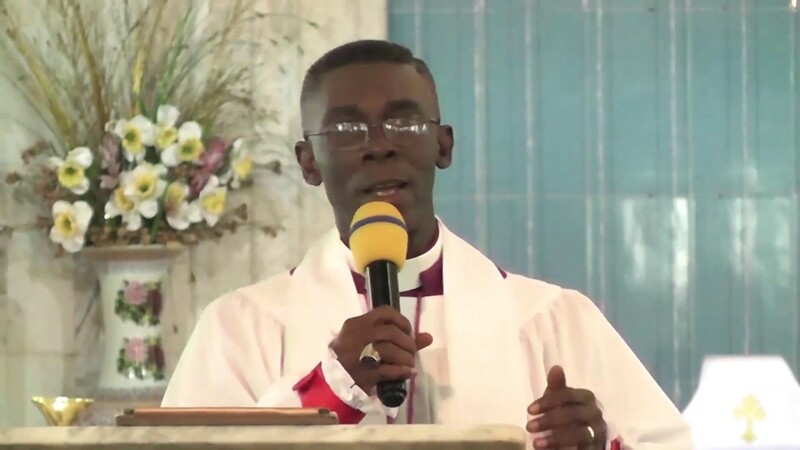 Our Senior Correspondent reports that Bishop Ide made the declaration Wednesday February 6, during the Church of Nigeria Standing Committee Meeting of all Anglican Communion in Nigerian held in Warri, Delta State. While expressing dismay over happenings in Nigeria, the cleric opined that the country is gradually sliding into totalitarian state, saying, “God’s intervention will deliver His people, protect those suffering from the hand of kidnappers, killer herdsmen and Yahoo Plus Boys". Rt. (Rev.) Ide commended the Archbishop of Bendel Province, the Most (Rev.) Friday Imaekhai, Bishops, Bishops’ wives, delegates and members of the Local Organizing Committee of the conference for the successful outing. The Warri Diocese Anglican Bishop went down memory lane, stating that the first contact of Christianity in Warri was in 1555, when Augustina Monks visited Warri. According to him, by 1934 Warri had become a district made up of Warri and Burutu Parishes in the Diocese of the Niger, with headquarters in Onitsha, disclosing further that the Warri Diocese was inaugurated Friday January 25, 1980. He further revealed that the Diocese began with Archdeaconries, namely: Isoko and Urhobo, with Warri as its headquarters, adding that Warri Diocese has grown and given birth to Ughelli, Oleh, Western Izon and Sapele Dioceses. While noting that the Diocese is made up of the Cathedral, 20 Archdeaconries and four chapels spanning through three local government Areas: Warri South, Uvwie and Ethiope East, Rt. (Rev.) Ide pointed out that out of the 13 Dioceses that is in the Ecclesiastical Province of Bendel, the Warri Diocese ranks third after Benin and Asaba Dioceses respectively.